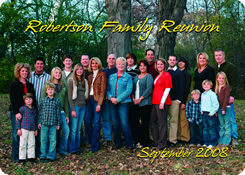 Create a lasting memory with our Personalized Reunion Playing Cards. 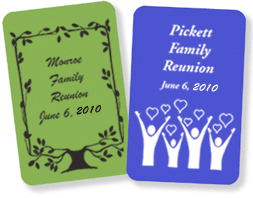 You can have your own Custom Playing Cards for family, high school, or any reunion event you have planned. Use one of our original designs or send us your own design. Each deck will be printed with the design of your choice on all 52 cards and Jokers, and will be individually packaged in a die-cut tuck box with cellophane window (Special Packaging is also available).